This morning I read a story in the Fargo Forum on how numerous business owners in the historic heritage tourism town of Medora, southwestern North Dakota, said no, they will not be razing a couple historic buildings from the 19th century to make way for shiny new construction. 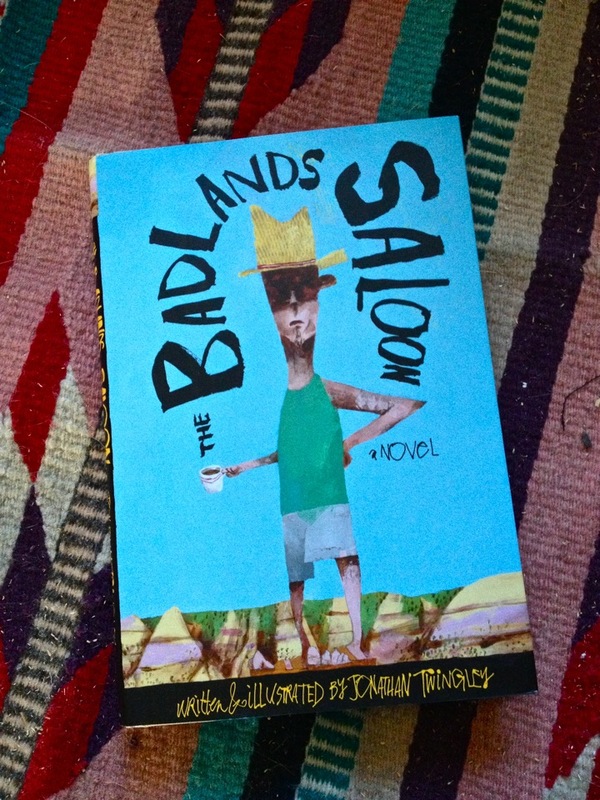 The story reminded me of Jonathan Twingley’s The Badlands Saloon: A Novel (Scribner, 2009), at least how Jon lays out the “fictional” town of Maryville (which is based off the reality of Medora). In the Fargo Forum story, Loren and Jennifer Morlock were present at the Medora Planning and Zoning Board meeting (held at the Badlands Pizza Parlor), and their Dakota Cyclery bicycle shop has been a long-standing fixture in one of the historic buildings. In the article, Loren said, “In our building, people come in with video cameras just to look at the structure and the building… People think it’s one of the coolest places for a bike shop that there is — we get that once per week. It works so well. I think there needs to be more research done before we just knock this stuff over.” Loren is spot-on here. These are the fixtures in a nationally-published novel by a local Bismarck artist and writer who lives in New York City (Twingley’s blogspot is linked in the Blogroll sidebar to the right) and Loren Morlock and others are spot-on when they oppose the razing of historic structures. I just thought I’d share some of what came to me when I read about their efforts this morning. Medora has a soul, and it is best not to gut it, lest we raze and smother the deep culture intrinsic to historic buildings, and historic preservation. Development is good, but there are an infinite number of ways to go about it without having to crush the material culture of yesteryear. The memorial tree at the Bear River Massacre site in southeastern Idaho. Photo from July 2013. This last July, Molly (an accomplished artist who is also my girlfriend) and I had a chance to tour the northern inner-mountain American West. One of the stops on this road tripped concerned a massacre site from 150 years ago, this at Bear River in southeastern Idaho. It seems appropriate to talk about and consider memorials and remembrance, especially today (09/11/2013). While at Bear River, I documented the site, and this morning I thought I’d finally get around to posting an audio-video short to help others who aren’t immediately able to visit get a slice of the sense of place. In the video there are three official memorials, but what I was really pulled toward the day we visited was the un-official memorial tree. This in my mind was all the more authentic because of its un-official-ness: often times, official memorials get politicized (or they can), and this officialdom and politicization undermines the sacredness intrinsic to reflection and mourning that can be emotionally spontaneous. Infrastructure can also undermine that reflection, something Muir went on about at length in the 19th century, and something we’re contending with in the Bakken today. Back to the July 2013 audio clip, though. Toward the end of the clip, I started closing in on the un-official memorial tree at the Bear River Massacre site. 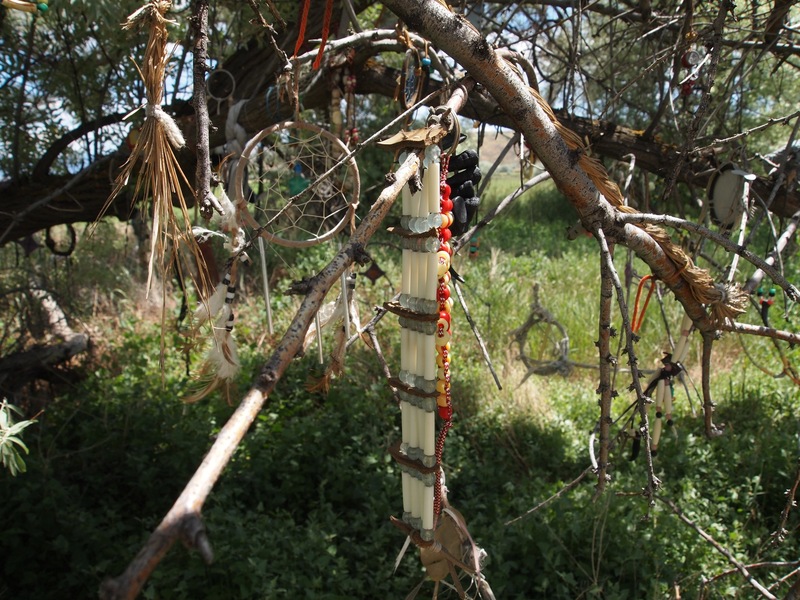 For a glimpse of some of the memorials and remembrances, click on the link referenced above (or the Bear River Massacre tag below). Or best of all, visit the site directly. In the last couple weeks I relocated a number of book shelves, and in the process a couple of those small but important shelf pegs disappeared. So this morning I sat and stared at one of the pegs to think about how to replace them. The gauge looked close to that of a 16 penny nail, so I hit up the local hardware store that sells loose nails. I grabbed two 16 penny double-headed nails and snipped them with the bolt cutters. The photo below shows the original book shelf peg in between the two DIY home-made book shelf pegs. Worked like a charm. Books will continue going back on the shelves this weekend. 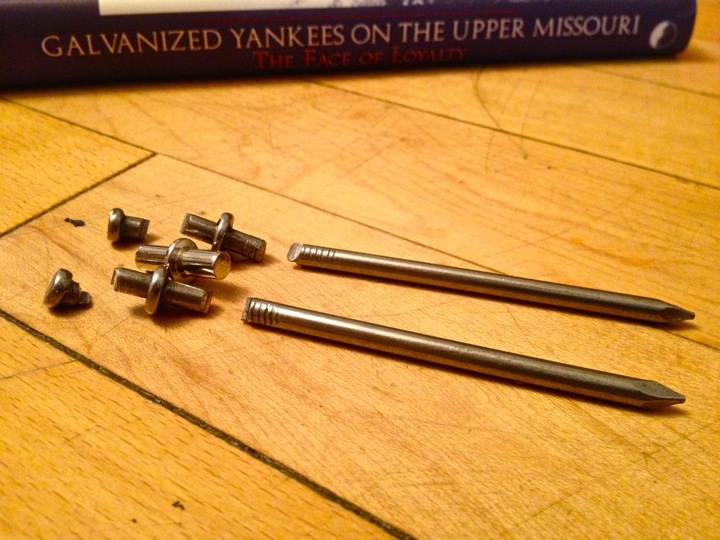 Non-galvanized nails cut to book-shelf peg length in front of Michele Butts, “Galvanized Yankees on the Upper Missouri: The Face of Loyalty” (University Press of Colorado, 2003). This past weekend Molly and I visited Buffalo, New York, primarily to attend one of our friend’s weddings. While in Buffalo, we enjoyed the hospitality of Rich and Susan Bring Tobe. 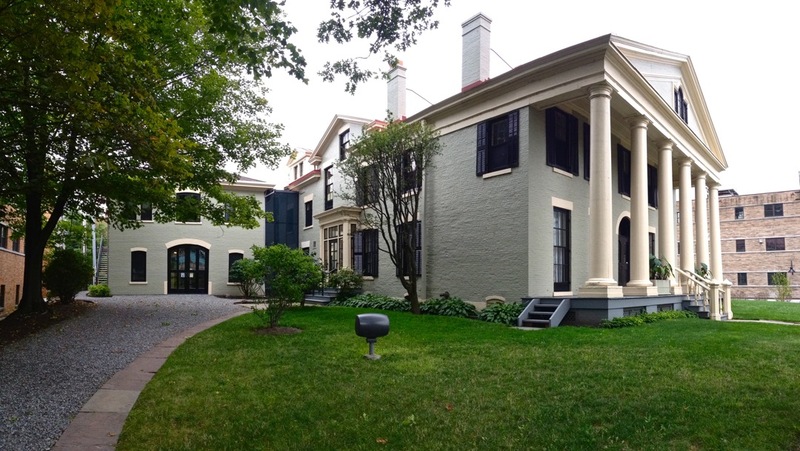 Rich and Susan know the deep culture of Buffalo, New York, and they showed us a variety of historic architecture and landscape architecture (including homes by Frank Lloyd Wright, and parks designed by Frederick L. Olmsted). In addition to this, they also pointed out the home where Theodore Roosevelt was sworn into office, this after William McKinley died from an assassin’s bullet in Buffalo. Before Molly and I departed yesterday, we stopped to take some photos of the home. I thought I’d upload and share one here (the house is on the National Register of Historic Places, the site narrative linked to here). This also got me to thinking how altered the monopolistic trust-busting might have been had Teddy not become president through this awful tragedy (that’s kind of the way with life, though: redemption can result from tragedy, at least in this case). Of course, had McKinley survived, we would not even know how things would have been otherwise. But that’s another discussion entirely (arguably presented much more intelligibly by Doc in Back to the Future). 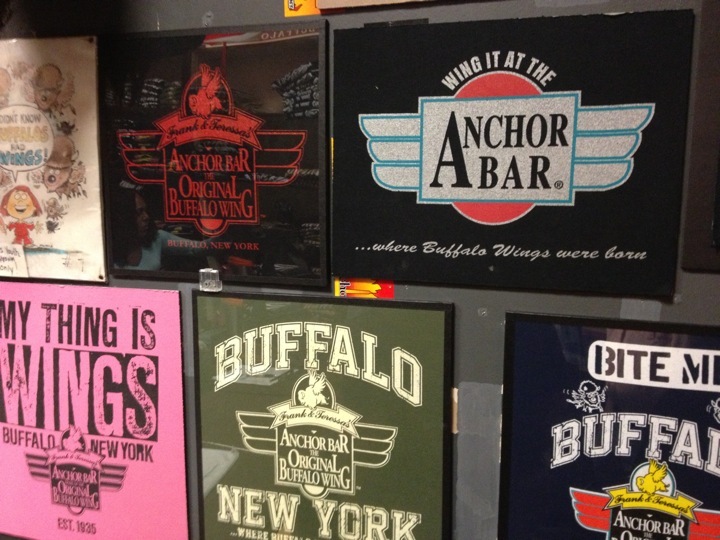 While in Buffalo, I also got to thinking about just how many chicken wings Teddy could have inhaled at the Anchor Bar, the birthplace of the “Buffalo” wing (in Buffalo, they just call Buffalo wings “wings” much in the same way that the French refer to French onion soup as “onion soup.”).